After a career in karting, Sage Karam moved up to U.S. F2000 in 2010 dominating the championship with 9 wins in 12 races. After more race wins in the Star Mazda championship he then became the 2013 Indy Lights champion. In 2014 Sage made his first start in the Indianapolis 500. He finished the race in ninth position, as second best rookie. 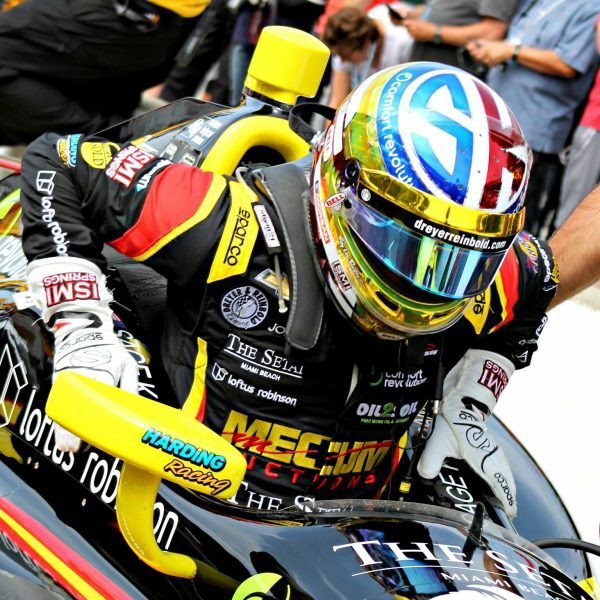 In following seasons Sage continued to race at Indy for Dreyer & Reinbold Racing as well as doing an almost full season with Chip Ganassi Racing. Sage extensively uses a home simulator to prepare for his racing duties, which is equipped with a set of Sim Pedals Ultimate.